There is always a member of the family who you have no idea what to get them for Christmas. I have a solution for your problem. Give them the perfect Christmas gift – A star! It’s a wonderful idea. A star in their very own name. You may remember earlier in the year when I was given a star for baby girl. The make fantastic and thoughtful gifts for any age. We were gifted an Extra Bright Star gift set from Star Name Registry. 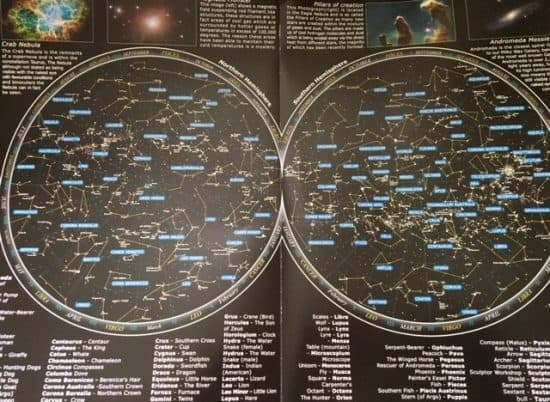 They will also enter your named star when purchased into the star name registry within 24 hours and no star is never named twice in their star name registry so it will be totally unique! This time I have named the star for my nephew, he loves space so this is the perfect Christmas gift for him. You can also choose which constellation you wish the star to be from. Surrounded by blue tissue paper. There are many star packages available to suit all budgets. Prices start from £14.99 for a Standard name your star package up to £69.99 for a Binary Star gift set. 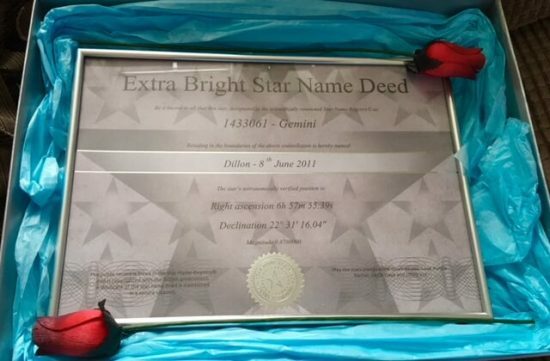 The lovely people at Star Name Registry have kindly given me a Name an Extra Bright Star enveloped package to giveaway. Which contains the certificate, constellation map along with the confirmation letter. You can view the prize here. To enter please fill in the Rafflecopter below. *Terms and Conditions – There is one Extra Bright Star enveloped package to giveaway. The prize is non-transferable and no cash alternative will be offered. The winner will be selected at random via Rafflecopter.com from all valid entries and be notified by Twitter and/or email. The winner will have 28 days to respond with a valid UK address before a new winner is selected. (please note that a quick response is required for the prize to be dispatched before Christmas) Open to all UK entrants aged 18 or over only. Facebook and Twitter are in no way associated with this giveaway. Any personal data given as part of the competition entry is used for this purpose only and will not be shared with third parties, with the exception of the winners’ information. This will passed on to Star Name Registry and used only for delivery of the prize. Thanks for stopping by today. I hope you have enjoyed this review and giveaway. *I was gifted the Extra Bright Star gift set in exchange for this post. I’d name the star after my late dad so I’d give it to my mum as something to remember him by. I would love to win this for my daughter, as she would love to name a star. For my daughter, as she is my star. I would love to win this prize for my sister. My husband – who doesnt want anything but would love this . For my kids – this would be a lovely present for them! I’d love to win this for my nephew as he’s fascinated by the solar system and space! I would love this prize for my family, we would call the star Fordy after our surname!